At Bloomin’ Blinds, we are a family owned and operated franchise. Established in 2001, we endeavor to help entrepreneurs open their own company and achieve their goal of being a business owner. We offer our franchise owners the opportunity to be a part of something great. We have proven methods and tools to ensure success. Our nationally recognized brand makes marketing easier, while our long-term support helps you grow as a business owner. You can benefit from our experience – At Bloomin’ Blinds, we have been in business since 2001. We have survived the recession and have learned valuable lessons on how to make a company thrive. We share this knowledge with our franchisees. You join a family – Family is very important to us. You join a team who will have your best interests at heart. We provide support so you never feel alone. You work with a method that works – With each franchise that opens, we prove that our method works. We train all our business owners the traits to success. 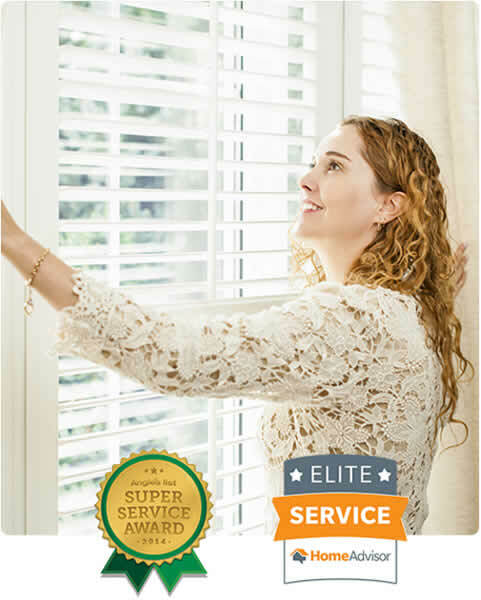 You will work with a brand that is nationally recognized – Bloomin’ Blinds is a company known throughout the country. You don’t have to struggle with getting people to know your company. We are well recognized. You will have advanced tools and training – You will not have to go at this alone! We offer you the training and tools you need to sustain a successful company and grow your profits and sales. Advanced Training: You will receive 2 weeks of training where you will get detailed instructions on blind repair, sales and installations as well as business operations. Powerful Marketing Tools: Access to all marketing materials, as well as website developed for your unique location. Support You Need: Personal support through multiple avenues, as well as scheduling and CRM software. Family Friendly Atmosphere: Working like a family company, regardless of size, is very important to our culture and business model. Proof Of Concept: Our Dallas office has been running a successful business since 2001, and had over $2,000,000 in sales for 2016. 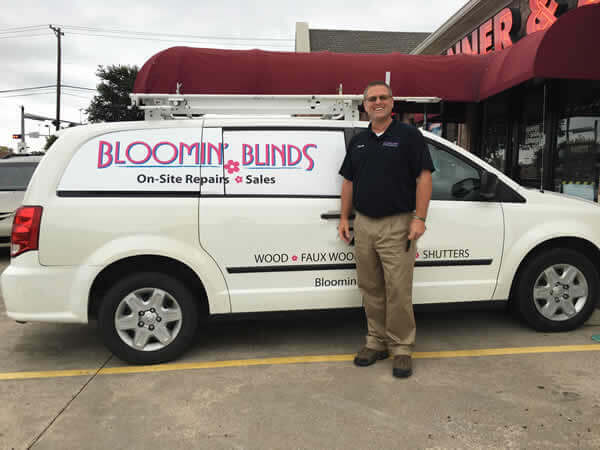 Low StartUp Costs: A franchisee could start a Bloomin’ Blinds operation with as little as a $50,000 investment, which includes the franchise fee. Available Territories: We have territories available across the entire Nation. Unique Market Advantage: Every market contains residential or commercial spaces that are in need of blind repair, sales or cleaning. An ideal Bloomin' Blinds franchise owner has a motor that will not quit and a love for new experiences every day. Our franchise owners handle sales call, repair appointments as well as the management required to actually build a business. Bloomin' Blinds franchise owners are people who love to "get their hands dirty", the hands on kind of personalities. Our profession is one of many variables and solutions that create the right answer to the given situation. If you treat life like a puzzle and like a detective mentality, you may have just found the perfect fit for the next chapter in life. You will need a minimum of $50k to open your a Bloomin' Blinds and must be willing to make a full time commitment. Join Our Nationwide Team of Successful Franchise Owners! Are you interested in joining our franchise family? At Bloomin’ Blinds, we offer exciting franchise opportunities for business owners and entrepreneurs. It’s time to discover the independence and freedom that can come with owning your own blind installation, repair, and sales franchise. Are you ready for an incredible return on your investment? Our team at Bloomin’ Blinds can walk you through the steps. We can explain our fee system and tell you about territories currently available for development. Our staff will also explain more about what sets us apart, how we operate, and the money we can make! Please call Kelsey Stuart directly at (214) 995-1062. Bloomin' Blinds is currently accepting inquiries from the following states: Alabama, Arizona, Arkansas, California, Colorado, Connecticut, Delaware, Georgia, Idaho, Illinois, Indiana, Iowa, Kansas, Kentucky, Louisiana, Maine, Massachusetts, Michigan, Minnesota, Mississippi, Missouri, Nebraska, Nevada, New Hampshire, New Jersey, New Mexico, New York, North Carolina, Ohio, Oklahoma, Oregon, Pennsylvania, South Carolina, Tennessee, Texas, Utah, Vermont, Virginia, Washington, Washington, D.C., West Virginia, Wisconsin.